Schneit es monentan in Le Massif Ski Area ?Vielen Dank! 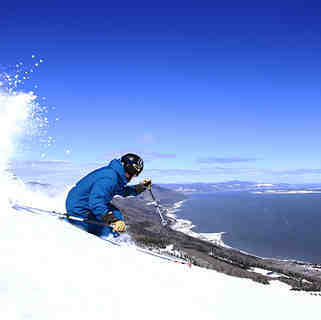 At one hour east of Québec City, Le Massif offers the highest vertical drop east of the Canadian Rockies (2,625 ft). 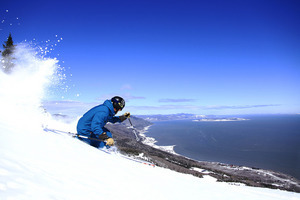 With its indomitable skiable terrain and angled slopes that seem to sweep straight into the sea, the mountain is also reknowned for its impressive snowfall with over 22 ft annually (669 cm). On your stop at the mountain, why not try the new 7.5 km rodeling run on natural snow, and for expert skiers, explore close to 100 acres of off-trail terrain. Slide enthusiasts are sure to be thrilled! Le Massif is offering an exuberant event program filled with endless activities and entertainment for slide fans to multiply their fun and get no break at all! The perfect way to turn a school vacation into a class act, out on the trails! I'm from New Hampshire and I would say that Lee Massif is a cross between Cannon mtn and Mad River Glenn in Vermont. It has the best snow and the best views in the east. Add that to awesome tree skiing and a great gondola and you have hit the jackpot. Lesen Sie 4 andere Beurteilungen ueber Le Massif Ski Area oder geben Sie Ihre eigene Bewertung ab.